Premier League Preview for Sunderland v Manchester City along with Predictions for every result in the EPL. Follow up each match with results and video highlights posted later in the week. The week 11 Premier League Predictions have been posted, so go read up on my EPL picks for the weekend. Be sure to also check out the Premier League TV Schedule and 2013-14 Premier League Table. Go to bet365 to get some of the best Premier League betting odds for this weekend. 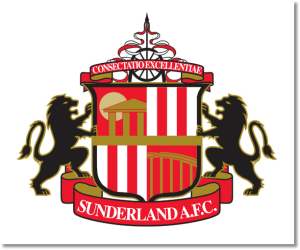 In last week’s match Sunderland lost 1-0 to Hull City and went down to 9 men with Lee Cattermole and Andrea Dossena sent off for bad fouls. The score line could have been worse considering this fact, but they were able to hold of Hull City and keep it to just the one goal. Still, this was their eighth loss of the season and means they have a long way to if they don’t want to be relegated. Their midweek League Cup win over Southampton could be a springboard into some good form, but facing Manchester City is not a good way to start that. In last weekend’s match City absolutely obliterated Norwich to the point that most fans felt bad. Their midweek Champions League was another convincing performance, yet they have underwhelmed at times this season. Their 6-1-3 record has them in fifth place with 19 points. They have allowed 11 goals, but have more than doubled that in scoring 28. I’m predicting another Manchester City win. It might not be as high as last week’s, but should still be convincing enough. Sunderland might be able to set up and get a goal or even frustrate City for a time, but it seems unlikely that they could get anything from this match.